It has been a while since I cleared out the pine trees that died in the last year, leaving 6 or 7 feet of trunk standing from one of them, in hopes of creating a balancing rock sculpture on top of it. Yesterday, I got my chance. I hadn’t set out to accomplish that when I started the day, but activity has a way of evolving here, if you let yourself go with the flow. 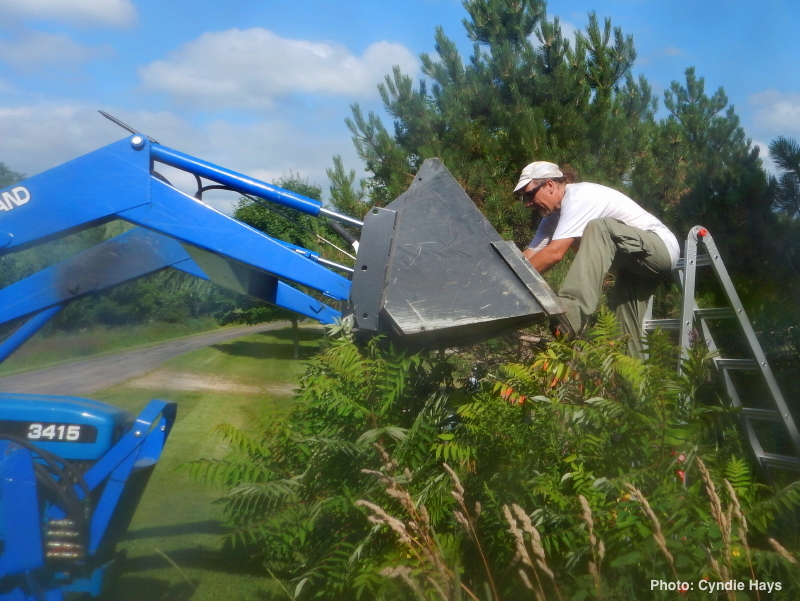 I was trimming the growth beneath our fence line along the perimeter of the hay-field, and decided it would be worth getting the tractor to cut some of the areas of tall grass left after George cut the field for hay. 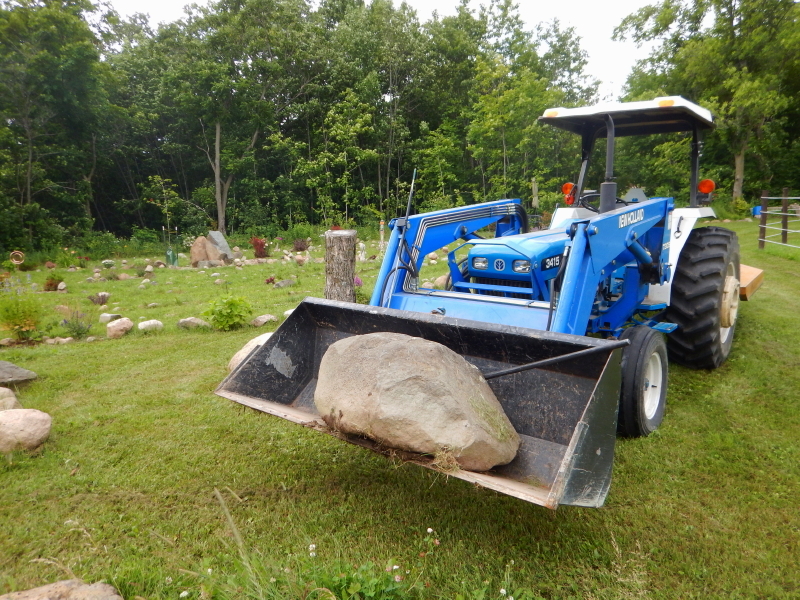 While out there mowing, I took advantage of the opportunity to move out some large rocks that had been left in a corner of the field last fall by the crew we hired to fence in the back pasture. I had wanted to get that done before the field was mowed, but this was the next best time to do it, with all the grass now short. The first set of rocks I picked up were smaller than the one in this picture, so on a whim I decided to drive up and see if I could maneuver the tractor in place and roll one onto the waiting tree trunk. 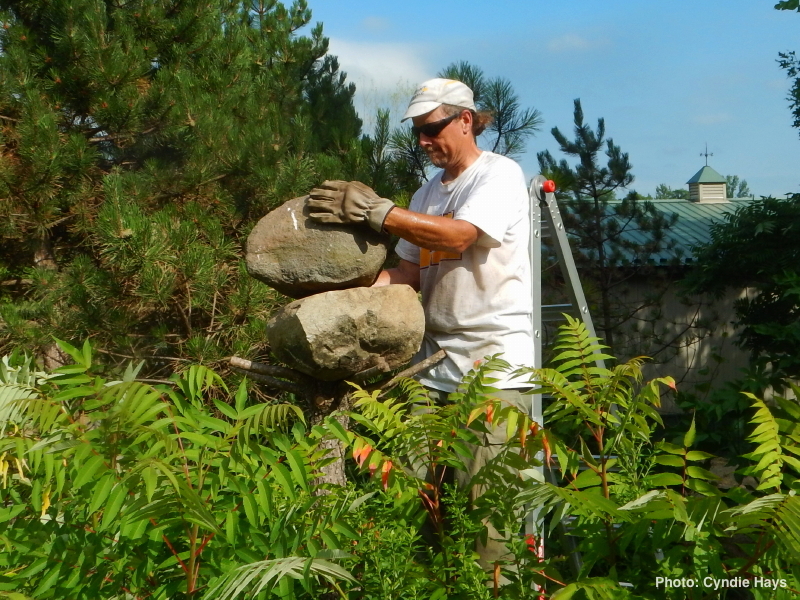 Despite a few precarious moments, including one where the small rock tipped over in a breeze just as Cyndie had bent over pulling some weeds so I had to startle her with a warning, the process worked as I had envisioned. 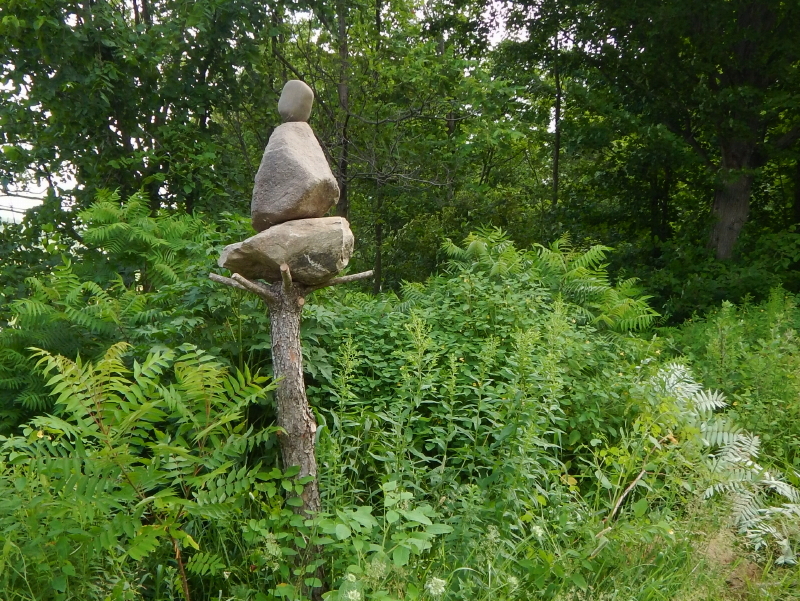 I put the small rock back up, in a more secure position, and we now have the tallest installation of curiously placed rocks that I have ever done.